The second book in the ground-breaking HUNGER GAMES trilogy. After winning the brutal Hunger Games, Katniss and Peeta return to their district, hoping for a peaceful future. But their victory has caused rebellion to break out ...and the Capitol has decided that someone must pay. 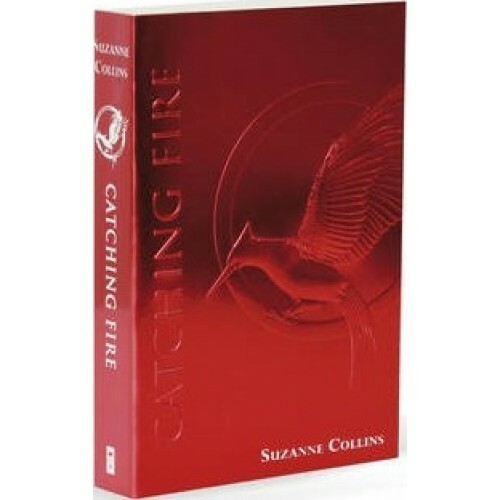 As Katniss and Peeta are forced to visit the districts on the Capitol's Victory Tour, the stakes are higher than ever. Unless they can convince the world that they are still lost in their love for each other, the consequences will be horrifying. Then comes the cruellest twist: the contestants for the next Hunger Games are announced, and Katniss and Peeta are forced into the arena once more.